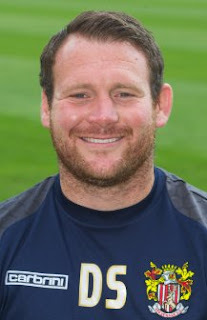 Darren Sarll is the current boss at Broadhall Way and had a short career as a player in the Non League notably with “Towns” Hitchin, Bedford and Dunstable before taking a coaching role at Stevenage. He had spells as coach at Rotherham and Brentford before returning to Stevenage in in 2012. He was given the reins in February 2016 after the sacking of Teddy Sheringham. A1(M) North to junction 7 Novotel Roundabout. Turn right towards Stevenage South (A602). Go straight over the first roundabout. Follow the A602 and Broadhall Way is then straight ahead. You will see the floodlights on your right. Directions by Train The nearest station to the ground is Stevenage which is about one mile away from the ground. The Arriva No 5 from the nearby Bus Station takes ten minutes. The club also offer a very efficient and regular Shuttle Service to and from the ground cost £1.00. The Standard Bearer the local Wetherspoons outlet can be found in the Bus Station near the Pound Shop. Our Mutual Friend is easily the best pub in the area and can be found on Broadwater Crescent, a 10-15 minute walk from the ground – decent Ruby Murray bar meal if you get there early enough to order as it gets busy. 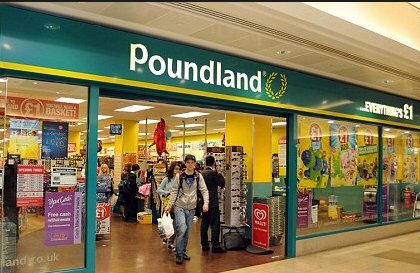 Coincidently it is near to a Pound Shop. The Roebuck on London Road is another good option and is also about a 10-15 walk away. Both served decent sales and food. 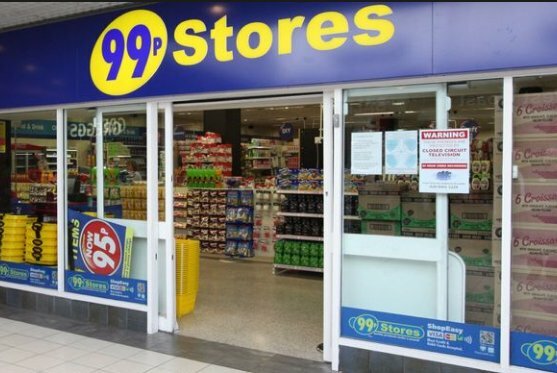 The local Retail park offers a Harvester, Pizza Hut, and numerous of those awful ghastly take away franchises. The social club at the ground allows away fans and is very safe and secure for all ages as the stewarding is very good. Our last visit was in January 2016 and a 0-0 draw was battled out in front of 3,800. 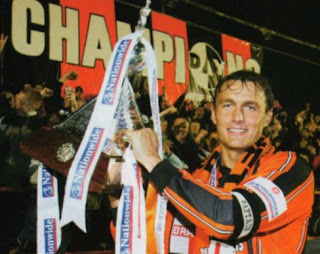 A splendid photograph that sat on the wall of the Durham Suite at Underhill basically explained Saturday September 9th 2003. With the team 1-0 down injured and substituted Capt. Marvel Ian Hendon was dispatched by Martin Allen to join the Bees army behind the goal who were instantly lifted. It led to Peter Beadles’ lethal finish and a Grazioli winner and the scenes were something to behold. My first visit was in 1975 in the Southern League Division 1 North when they were Stevenage Athletic but that was in Black and White!